I was tagged by the wonderful Kerrie @ I Loved Reading This in this Liebster Award! I love doing these tags because they’re unique everytime thanks to the nominators own questions! Honestly, I just needed a hobby! I loved beauty and reading, so I started up a beauty blog and then transferred it over to a book blog. I just thought it would be nice to have something to do of an evening after coming home from work. What is the 1 book, in your opinion everyone must read? 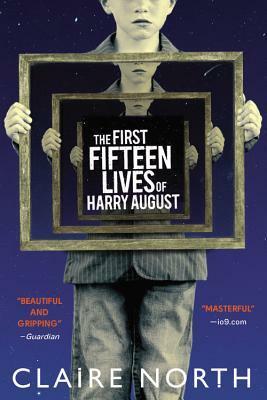 I think everyone should read To Kill a Mockingbird by Harper Lee, but I think that’s a bit cliché, so I’m going to say The First Fifteen Lives of Harry August by Claire North as that’s the book that got me back into reading after finding it a rather monotonous task over the years. Most probably Rosemary’s Baby, because I loved both the book and the film. 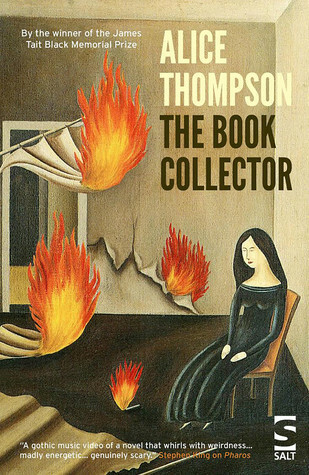 I’m currently reading The Book Collector by Alice Thompson. It’s a gothic novel that I discovered on Callum McLaughlin’s blog. Who is your ‘must read’ author? Definitely Ira Levin. His work is amazing and so psychologically disturbing. Plus he writes some interesting social commentary into his stories. I try to post 4 or 5 times a week. At one point I was posting twice a day, every day! How I ever managed that I do not know! Tell me one hobby separate to reading? Going back to the earlier point I made, I’m really into photography at the moment. I’m not very good and I won’t ever try to make a career out of it, but I’m enjoying snapping pics of all my books. Are you a user of your local library? I’m not. I would like to be, but the issue is that it closes at 6pm and I don’t tend to get home from work until 6pm. Then at weekends, I spread my time between my house and my boyfriend’s house, so I’m never really in my town enough to spend time browsing and I’d probably always miss return deadlines. I’m fully supportive of library’s in general though and I’m glad the one in my town is still up & running because it doubles up as a little theatre which shows some interesting plays sometimes! Oops, I already answered this question above too! The First Fifteen Lives of Harry August by Claire North is always the book I choose for this question. I did read a lot as a kid but going to school, reading started to feel more like homework or a chore and I lost touch with it. Going into sixth form and finding I had “free periods” meant I was getting bored with all my spare time, so I popped into the local Waterstones and rediscovered my love of books! I never really know what to say for this one. If money wasn’t an issue, I’d love to work surrounded by books, be that in my own bookstore, another bookstore, or a library. And there we have it, some more information about me you didn’t need to know about me to clog your brain! Who is your favourite (musical) artist? Why? Do you reread books? Why? and if you do which book have you read the most? If you could only have one for the rest of your life, which would you choose – fruit or veg? What’s the latest book you read that you really disliked? What super popular movie have you never seen? I don’t often like movies, but Rosemary’s Baby is one of my favourites. I love that libraries have ebooks and audio books now, too. I don’t get into my physical local library as often as I’d like, but I do make use of their ebook rentals. That’s fab! another great option for people who can’t afford books and can’t get out as much! ☺️ I wish I liked reading ebooks more cause free ones from the library on loan sounds great! I don’t use the ebook lending as much as I want to, but I love having the option! Thanks for the nomination! I loved reading your answers! Photography is a favorite of mine, too, and it’s amazing how much fun we can have photographing our books! ♥️ I am going to do my best to complete this tag soon! Thanks again, Zuky! Rosemary’s Baby is such a great book, and the movie is so eerie too! Great answers – thanks for joining in! Dare I say it… I haven’t read Rosemary’s Baby or any Ira Levin! Added to my TBR! I adored The First Fifteen Lives of Harry August as well, it was such a beautiful read.